If knowledge comes with experience, Jonathan Julyan knows a thing or two about walking. 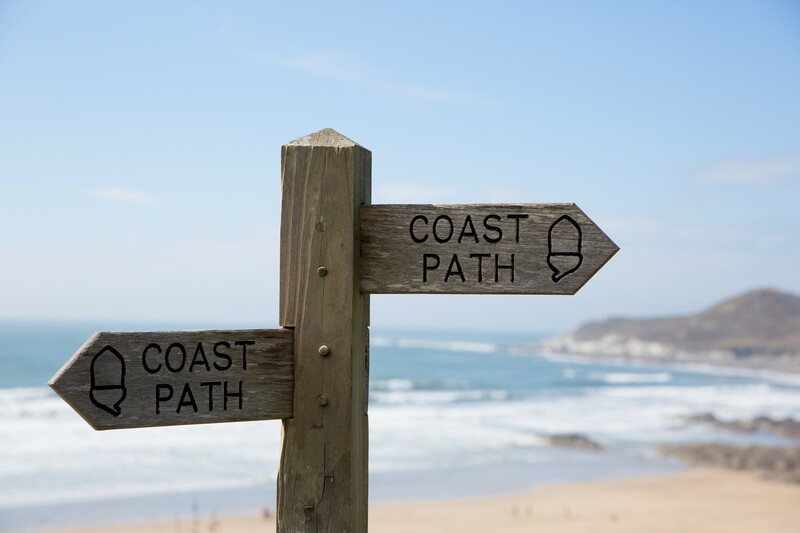 It has taken him just four years to encounter eight National Trails, a hefty chunk of the South West Coast Path and a variety of other long distance trails, with more planned for the year ahead. We interviewed Jonathan to find out more about his walking experiences. You have walked 16 long-distance trails in the last 4 years and several more are on the agenda. What is it that you find so appealing about long distance walking? I never ceased to be amazed by the beauty and variety of the British countryside, and I think walking is the best way to explore and appreciate it. I just love the unpredictable combinations of scenery, wildlife and weather, and the fact that no two days are ever the same. What prompted you to start long-distance walking? I started walking in my early thirties. I’ve always had a fairly sedentary job and have never been attracted to traditional sports, so walking was the perfect way to get some exercise while doing something I enjoyed. For 20 years all my walking was of the “circular day walk” variety, but those experiences also convinced me that I wanted to explore some of the long distance trails too. Taking early retirement at the end of 2009 provided the perfect time and opportunity to start doing this. Which long-distance trail did you walk first? 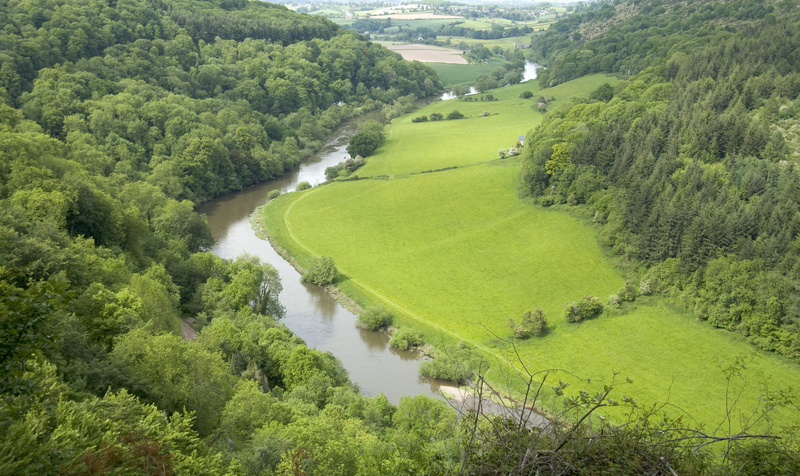 The two walks I’d always wanted to try were the Wye Valley Walk and Hadrian’s Wall Path. But as I’d never done a multi-day walk before, I decided to dip my toe in the water first with the Northumberland Coast Path over 5 days. Not only was this a part of the country I’d always been keen to visit, but it also looked fairly flat! I knew I’d made the right decision at the very start of day 1, as I set out from Berwick-upon-Tweed with Lindisfarne and Bamburgh Castle on the horizon ahead of me. It is just the most stunningly beautiful coastline. Five days later I reached Warkworth (with feet intact) and knew I was hooked. 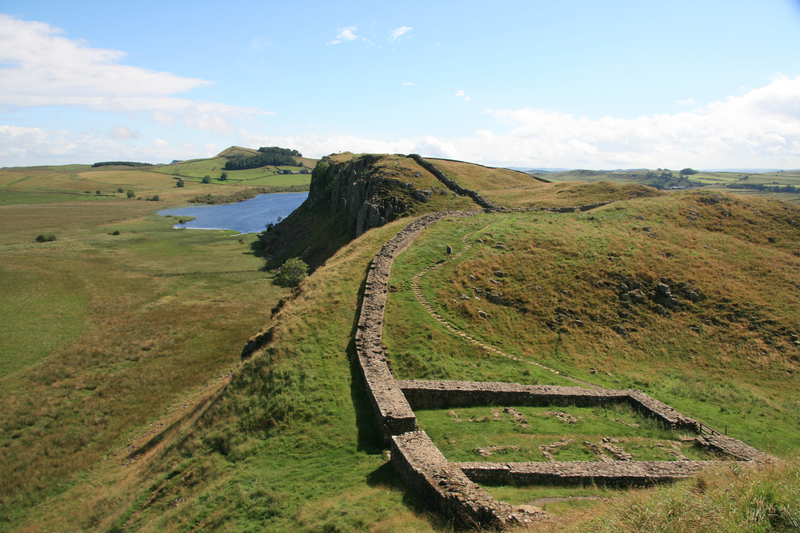 I walked Hadrian’s Wall 3 months later, and have gone on to complete 3 or 4 walks each year since (though ironically I still haven’t got around to the Wye Valley). If you could choose to go back and walk any trail again, which would it be? It’s hard to single out favourites, but, in addition to Northumberland, I’ve particularly enjoyed my walks in Scotland (West Highland Way, Great Glen Way and Borders Abbeys Way) and the South West Coast Path, which I’m doing in chunks and aim to finish in 2015 (hopefully before it all disappears into the sea). You must have experienced a whole range of different sights, sounds and have lots of precious memories. If you had to single out one walking memory that you could revisit on a cold and dreary day, what would it be? Singling out one is impossible! 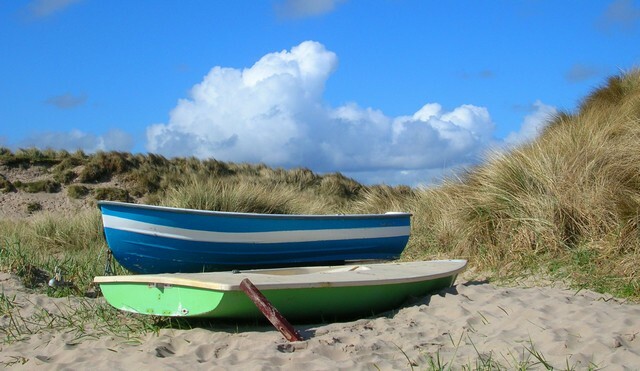 The Northumberland Coast Path will always be special, perhaps partly because it was my first walk. But I’ve also got very fond memories of Rievaulx Abbey (Cleveland Way), the industrial tin-mining landscapes of west Cornwall, the North Norfolk Coast, the Needles on the Isle of Wight, and all the ruined abbeys in the Scottish borders (which I originally visited when I was about 8!). Have you had any unusual encounters whilst walking? Perhaps not all that unusual, but the unexpected encounters I’ve been most pleased with have been with red squirrels. I’ve seen one scampering across a road in a village near Shap (Westmorland Way), one pootling about in a tree at more or less eye level and quite happy to be watched for a bit on the Isle of Wight, and one on a woodland path near Jedburgh in Scotland (not sure which of us was more startled). What has been your most challenging moment whilst walking and how did you overcome it ? As a lone walker by choice I strive to avoid “challenging moments”! I always check out the guidebook and maps before I set out on a day‘s walk, so I have a good idea of what to expect. And I’m not afraid to divert off the official route if that seems prudent for any reason. The only time I’ve really felt uncomfortable was on a section of the SWCP in north Cornwall last year. I was on an exposed headland when a really strong gusty wind came up, and the only way to stop myself being physically blown around was to grab and hold on to a handily placed footpath marker. There was no sign of the squall abating any time soon, so I carefully back-tracked and cut inland to a lane running parallel with the coast, which I followed instead of the footpath for the next few miles. What do you carry when you go walking that you simply could not be without? Apart from a good pair of boots (obviously), my favourite item is my Paramo Cascada waterproof jacket. Quite simply, it’s the best piece of walking kit I’ve ever bought, and it really does keep the rain out. If you could give one piece of advice to someone new to walking, what would it be? 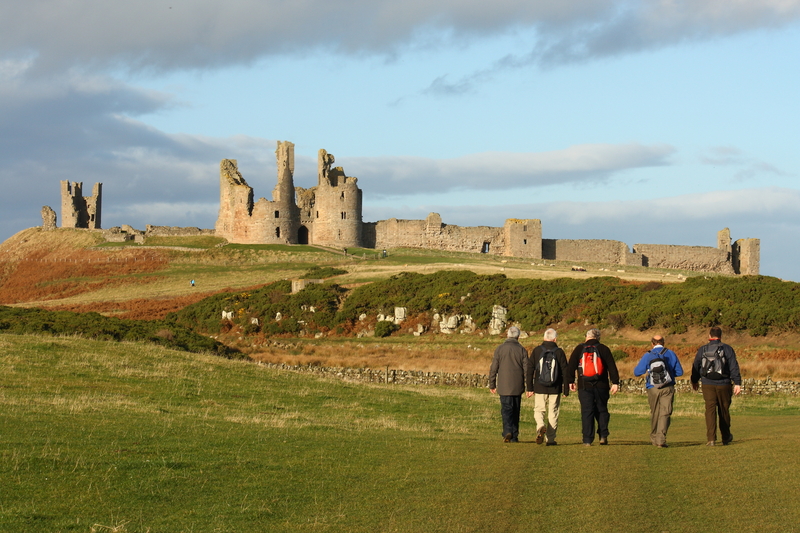 If you like the idea of a long-distance walk, just give it a go! But do some research beforehand and pick a route and daily distances that you think you’ll realistically be able to manage. Make sure you’re boots are worn in, and do some one-day practice walks first. If you make it to the end of your first long-distance walk, you’ll certainly feel very pleased with yourself - and you’ll probably be hooked. 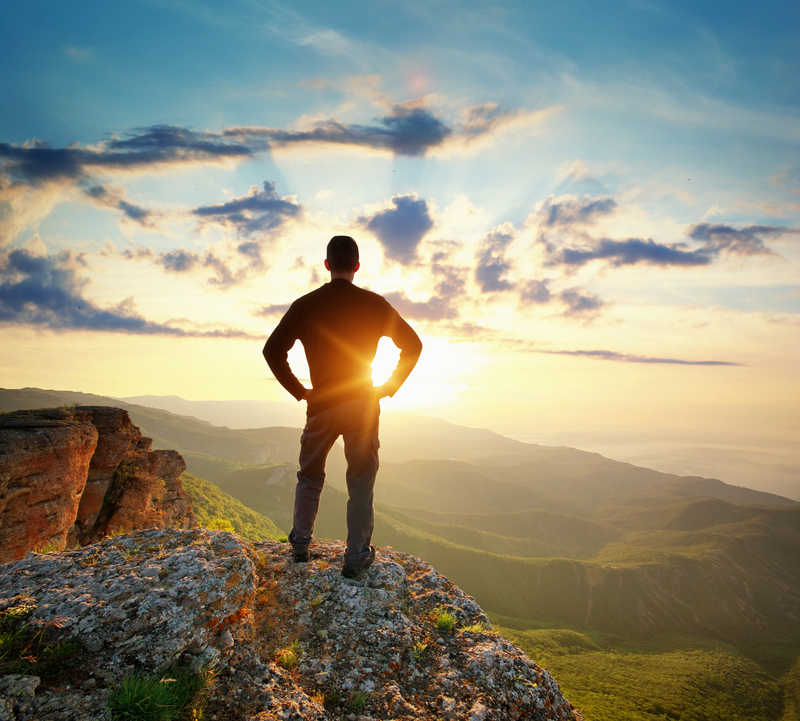 What is the next on your list for long-distance walking? This year I’m planning two more sections of the South West Coast Path (Penzance to Plymouth), the Furness Way, and a trip to south west Scotland that will combine the Arran Coastal Path with the Kintyre Way.